The Greater Saint Charles Convention & Visitors Bureau has a wonderful staff of experienced and knowledgeable tour guides. Working in period attire, these folks will entertain your group with important historical information and a unique glimpse into Saint Charles&apos; early days. When your motorcoach group overnights in Saint Charles, one of our guides, will give you a complimentary step-on tour. These tours must be scheduled in advance. Please contact one of our Group Travel Sales Staff to arrange your tour. We invite you to learn more about our tour guides below. A resident of St. Charles since 1978, Jeanette recalls answering a newspaper ad calling for docents on historic Main Street. Now some 20 years later, she recalls fondly how answering this request was one of her best moves ever. "St. Charles history is fascinating," she said. "I thoroughly enjoy giving tours, for I meet many interesting people and always learn something new about little known facts surrounding the state of Missouri, the greater St. Louis metropolitan area, and, more specifically, St. Charles." Marilyn's roots span the country starting in south central Pennsylvania. After residing on the East Coast, she experienced the West Coast in California and the deep South having resided for a time in Alabama and Louisiana. She holds a bachelor of science in English and education from Millersville University (PA), and has worked in a variety of educational and business capacities. 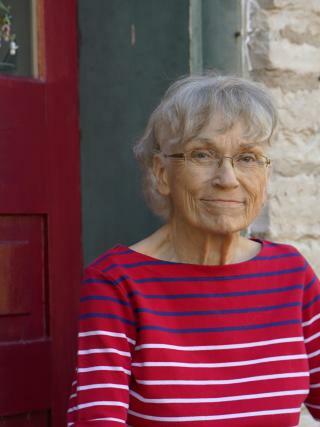 A resident of St. Charles since 1981, Marilyn has been a tour guide for more than 15 years. Married for over 40 years, she and her husband have three sons. Her current passion involves visiting all of our nation's National Parks. "Also on my ‘to-do' list is to visit one or two parks in Canada," she said. Kris has a wide range of experience having worked in the travel industry for over 20 years. In fact, she's spent over 15 years on staff at Funjet Vacations, located at Lambert International Airport, assisting passengers departing on vacation. Her travel interests tie directly into being a tour guide on Main Street, where she has a special affinity for the annual Christmas Traditions festival. "I'm still amazed," she said, "that we have visitors from around the world!" 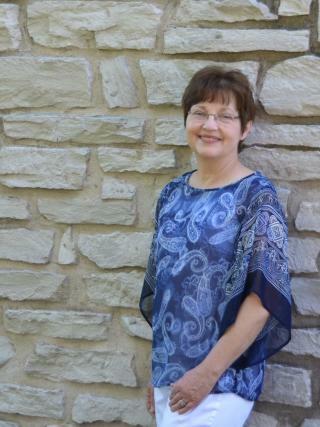 A resident of St. Charles, Kris has four children and two grandsons. In her spare time, she loves to travel. Hello! I have lived in St. Charles with my husband Denny and four children for 40 years. We have been blessed with six grandchildren. Working at the CVB has been a great learning experience. I have met many diverse people that have come from all over the world to visit our “Les Petites Cotes”. It’s a wonderful job and “just plain fun!”. Come to the many festivals and see for yourselves! Working for the Visitor Center gives me the opportunity to meet people from all over the world and help to create memories that will be treasured for years to come. When I am not walking Main Street on a tour or directing visitors, you can find me homeschooling my daughters, teaching archery, or coaching soccer. I have lived in the area for 11 years with my husband, Brad and our three daughters. As a family, we enjoy visiting the local museums, art galleries, and camping. 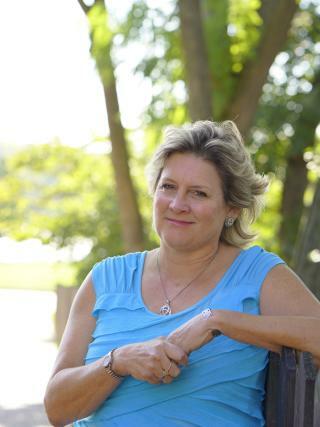 A freelance professional communicator with over 23 years experience writing features, news, histories, press releases and more for area businesses, non-profits, academic institutions and publications, Linda Briggs-Harty loves history more than any other topic. 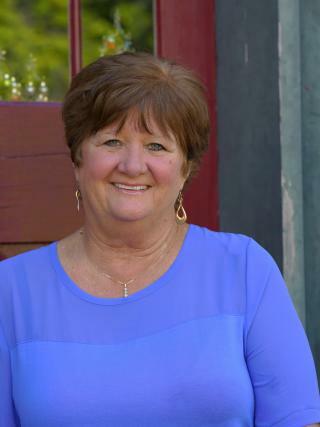 When living for several years in West St. Charles County, she, husband Mike and two sons Patrick and Joseph enjoyed quick trips out along Highway 94 in wine country, to ride on or hike the Katy Trail and to soak up the small town ambience. 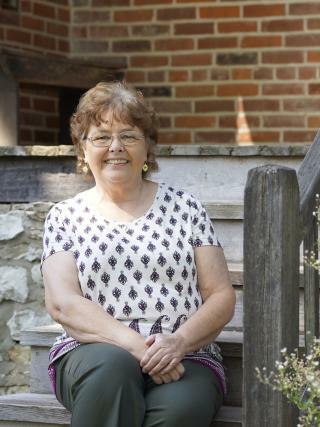 When not relishing regional frontier history, Linda enjoys touring with her family to see cousins in Ireland, friends in Germany and fellow travelers she met on recent pilgrimages to Italy and France.